The set of two 24 ounce Big T Tumblers by Tervis are the on-the-go size drink glass. Indoor or outdoor use, our 24 ounce Tervis Tumbler will keep your hot drinks hot and your cold drinks icy cold. Shatter proof construction makes these Tervis Tumblers perfect for picnic, bbq, camping, boating, and more. Jack's Country Store stocks accessories to customize your Tervis Tumbler. 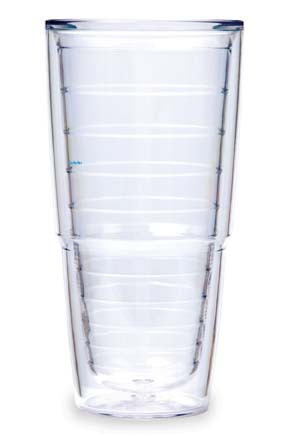 We stock lids, straws, and handles for the 24 ounce Tervis Tumbler drink glass. American Made Tervis Tumblers harness the natural insulating powers of air to create a permanently sealed, double-walled tumbler. Finally, a way to keep hot drinks hot and cold drinks cold. Tervis drinkware is made for a lifetime of total sipping satisfaction. 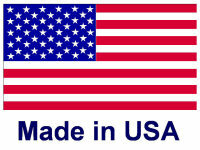 Tervis drinkware is proudly made in America. Its also well made and happily made. And has been since 1946. Dishwasher Safe. Reusable for a lifetime! Truly a green product. Tervis Tumbler glasses and drinkware reduce landfill waste, and they are reusable over and over. Jack's Country Store offers a large selection of Tervis Tumbler drink glasses, handles, sipping lids, straws, and travel lids for Tervis tumblers in 10 ounce, 16 ounce, and 24 ounce sizes. Mix and match to create a custom Tervis tumbler, just for you!